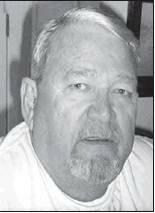 Robert Earl “Bob” Patterson, 78, a longtime resident of Henryetta, passed away Sunday, Sept. 9, in Morris. Bob was born Jan. 18, 1940, to Andrew H. Patterson and Allie (Falconer) Patterson. After Bob’s early schooling he attended Oklahoma State University at Okmulgee. He was a veteran, proudly serving with the United States Air Force. Bob married Linda (Shaver) Spurlock on Dec. 10, 1965 in Ft. Smith, Ark. He worked as the UAW representative for Ford Motor Company from 1974 until his retirement on May 31, 2001. Bob and Linda lived in Henryetta for many years and just recently moved to Morris to make their home. Bob was a member of the Church of Jesus Christ of Latter Day Saints, where he also served as a Deacon. Bob was preceded in death by his parents and three sisters, Vermelle Gilreath, Christina Hays, and Katherine Newman. Bob is survived by his wife of 52 years, Linda Patterson of the home in Morris; five children, Sandra Howell and husband Randy of Beggs, Mark Patterson and Bryan Nicholson of Henryetta, Roberta Bivens and husband Scott of Kansas City, Mo, Brenda Wadley and husband Cody of Cameron, Mo., and Brent Patterson and wife Julie of Morris; 10 grandchildren and 10 great grandchildren; as well as a host of friends and other relatives. Visitation will be from 6 p.m. – 8 p.m. Wednesday, Sept. 12, and from 8 a.m. – 1 p.m. Thursday, Sept. 13, at Integrity Funeral Service. Funeral services will be at 2 p.m. Thursday, Sept. 13, at Integrity Chapel with Paul Lay, John Howell, and Mike Dewitt officiating. Interment will follow in Westlawn Cemetery under the direction of Integrity Funeral Service. Pallbearers will be Roy Howell, Doss Wynn, Bryan Nicholson, and Brad Bivens. Honorary pallbearers will be Ronnie Shaver, Scott Bivens, Randy Howell, Mark Howell, and Flo Chairez.